​Jennifer Renick is a PhD student in the School of Education with a specialization in Learning, Teaching, Cognition and Development (LTCD). She graduated with honors from Pitzer College in 2015 with her BA in Community Mental Health: Schools and Youth. During her time as an undergraduate, she interned both at Monrovia High School as a Counselor Intern, and at Garey High School in Pomona, as a Head Peer Counseling Intern. She completed a year-long collaborative senior thesis project with the school, evaluating its in-school suspension program, research which she presented at the Society for Community Research and Action’s biennial conference. 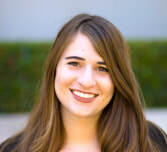 During her time at Pitzer, Jennifer was awarded the Kallick Community Service Award twice, the Katie Lawson Memorial Award, and was named a Napier Fellow. She was also the four-time recipient of the Rosenberg Foundation’s Targeted Youth Activist grant. After graduating, Jennifer worked first for El Monte City School District’s alternative education program as the Student and Community Liaison, and then worked for a year and a half with Promesa Boyle Heights as their Community School-Achievement Coordinator at Hollenbeck Middle School. In both roles, she helped develop partnerships with community agencies, and programming for youth and families. At UCI, Jennifer will be researching school climate and community engagement, with a community psychology approach.